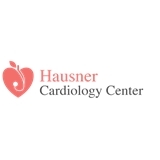 Hausner Cardiology Center (Chevy Chase) - Book Appointment Online! Dr. Hausner is a great doctor. I had a previous cardiologist I was seeing but needed a doctor closer and available sooner because of having daily palpitations and panic attacks. She has been very helpful so far and is doing her best to find the root of my problem. She has a very vibrant personality! Her assistants are just as great and really take the time to listen to you and build a relationship with you as well. I would recommend this doctor.